Justin graduated from Curtin University in Western Australia as a top 1% graduate and a member of the Vice-Chancellors list with a Bachelor of Arts in Illustration Design. He completed his first class honors as a top 5% graduate with a thesis on digital comics, titled ‘Visual communication in print and the digital medium’ before accepting a tenured academic position where he moderated offshore programs, supervised post graduate students and coordinated illustration and design units for the Department of Design for over 15 years. As an academic he has lectured and demonstrated his unique techniques to staff and students at institutions across the world, including HAW Hamburg University of Applied Sciences, Edith Cowen University, Limkokwing University of Creative Technology in Malaysia and the Charles Telfair Institute in Mauritius. During his time as an academic he illustrated his first full length graphic novel for IDW Publishing titled 30 Days of Night: Eben & Stella. It was the seventh book in the award winning series and was released in conjunction with the 30 Days of Night feature film. Justin then created the artwork for a follow-up 30 Days of Night comic titled Dust to Dust, released as a San Diego Comic-Con exclusive in conjunction with Sony Pictures and a short film of the same title. 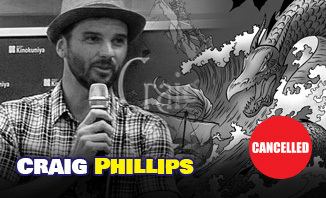 He worked as a colorist for the quasi-sequel to Repo Man, Waldo’s Hawaiian Holiday by Alex Cox and produced his first solo graphic novel series titled Changing Ways which was awarded a national Gold Ledger award and a national Aurealis award for ‘best illustrated book’ in Australia. The series has since been published by Gestalt Publishing and translated to French as a hardcover release through Delcourt Comics in France. His techniques were twice featured in the Wheels for the Mind, Apple magazine and he has since worked as an interior artist for Image Comics and been a reoccurring cover artist for the Silent Hill comic series through IDW Publishing as well as a reoccurring cover artist for the 30 Days of Night novels through Simon & Schuster, New York. He continues to deliver workshops and lectures on his techniques to regional schools and Universities across Australia while contributing his skillset as a guest speaker and artist for community events and fundraisers. Justin recently completed the third book in his award winning graphic novel series, Changing Ways which received the 2017 Aurealis award for best Graphic Novel/Illustrated work and he is currently working on a new graphic novel and Virtual Reality experience titled Cavity.